Neon Jump Night is Rockin’ Jump’s exclusive all ages after-dark jump experience. Every Friday night, Neon Jump Night features special strobes and black-lights along with all the top hits to make your night “Rockin”. Included in your admission is a Neon Jump Night t-shirt to round out your reactive look. 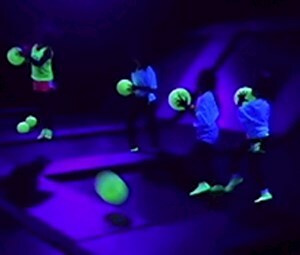 Make Neon Jump Nights your “After Dark” go to experience!